Now, by all accounts, this was limited to the group call feature, which Apple says they have disabled until a fix can be issued. 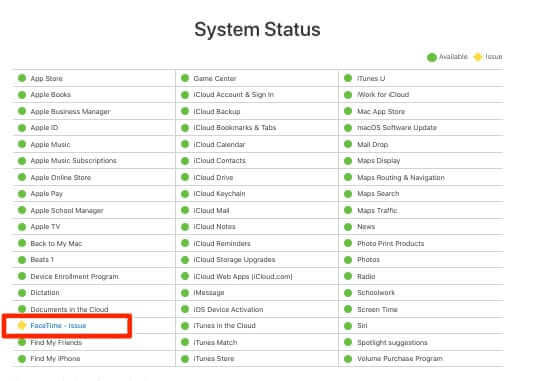 On the Apple system status page, you can see that FaceTime is showing a yellow diamond, rather than a green circle, meaning that there is an issue. Apple has been tight-lipped about the issue, saying only that “We’re aware of this issue and we have identified a fix that will be released in a software update later this week” in statements sent to news outlets such as the Washington Post. 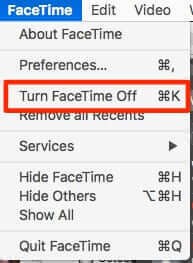 If you want to disable FaceTime, you simply go to settings, scroll down to FaceTime, tap on it, and toggle the on/off switch to turn FaceTime off. 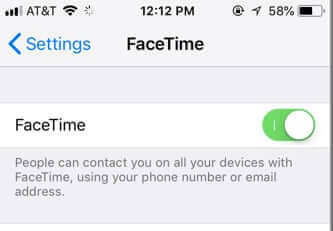 If you don’t see this option, it usually means that you are not signed in on FaceTime, so it is already essentially disabled. 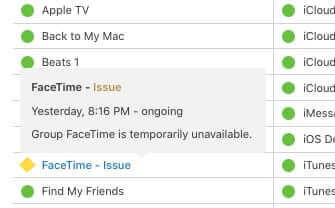 The issue was first picked up and announced by Mac news and information site 9to5 Mac, in their article Major iPhone FaceTime bug lets you hear the audio of the person you are calling … before they pick up. 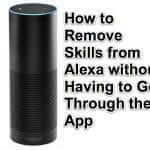 This was published at 3:41pm Pacific time on Monday (January 28th). 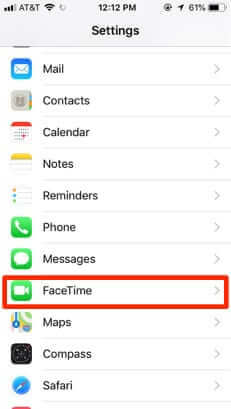 About 4 1/2 hours later, Apple took the FaceTime group chat feature offline (see above image). We leave it to you to determine the merits of publishing how to exploit a privacy bug – we are comfortable quoting this because Apple has said they have disabled it, and in our own testing we don’t even have the ‘add person’ option available now. Still, there are a whole lot of unanswered questions here – a couple of them being how much do we trust Apple to stress test their systems to make sure that users’ security and privacy are actually protected, and why did it take more than 4 hours from the bug being outed publicly for Apple to respond and do something about it? In the past 24 hours it was revealed, and then admitted by Apple, that a bug in the FaceTime app was allowing FaceTime callers to listen in on the audio of what was going on around the recipient's device before the recipient picked up the call. 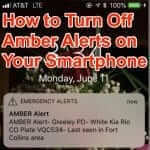 And if the recipient pressed the button to reject the call, instead of ending the call it would start broadcasting video from the recipient's device as well!